Merry Christmas! We are out-of-town visiting family over the Holidays! We hope that you are having a wonderful Christmas! Little Victory is doing well and she is enjoying her Christmas travels seeing new places and meeting new people! Below is the front of our Holiday card along with our matching envelopes using custom stamps and stickers of our beautiful little Victory! I design our Holiday cards and packaging, and Doug helps me write (and proofreads) our message shown on the back of our Pawliday card! 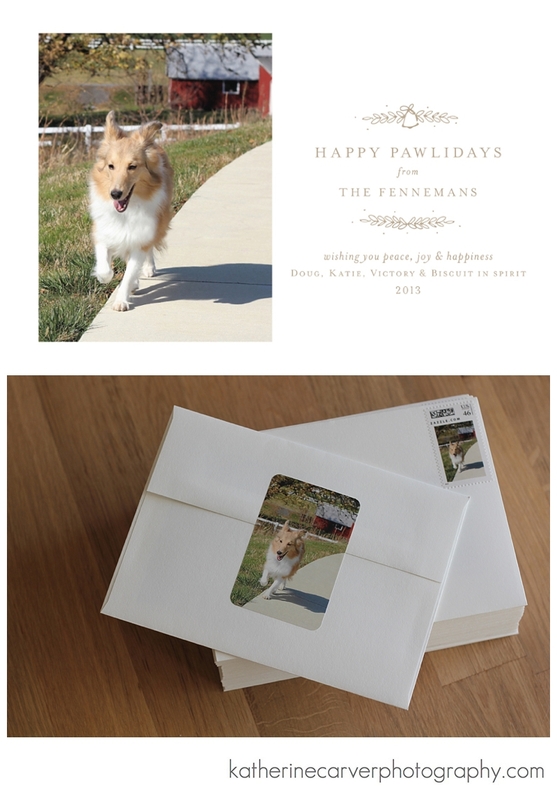 This is my way of sharing our Pawliday card with all of our blog friends! Thank you for your support all year round!